Nature gives us olives. Our expertise gives us top quality oil. Different olive cultivars (or varieties), production zones, degree of ripeness and fruit health produce very different oils. Extraction technology (olive presses), time frames and storage methods also impact first on the olives and then on the oils. We have 200 square meters of testing labs with avant-garde equipment of such sensitivity that they can detect even a single gram of contaminants in a million liters of oil. Every year we perform approximately 18,000 tests and monitor products across their whole life cycle, checking around 80,000 parameters. 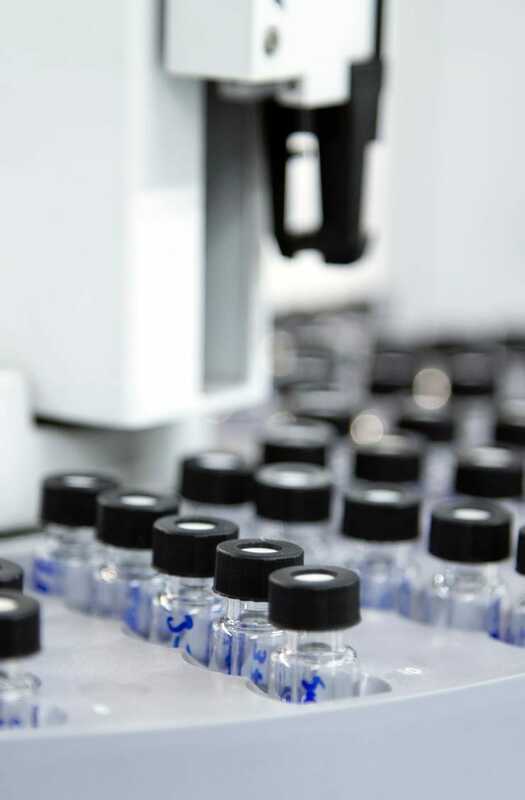 More than twenty different chemical tests enable us to monitor oil’s quality characteristics and its purity, i.e. the absence of contamination from non-olive oils. Other checks guarantee that oils are free of contaminants linked to health and safety such as pesticides, mineral oils, environmental contaminants and solvents. 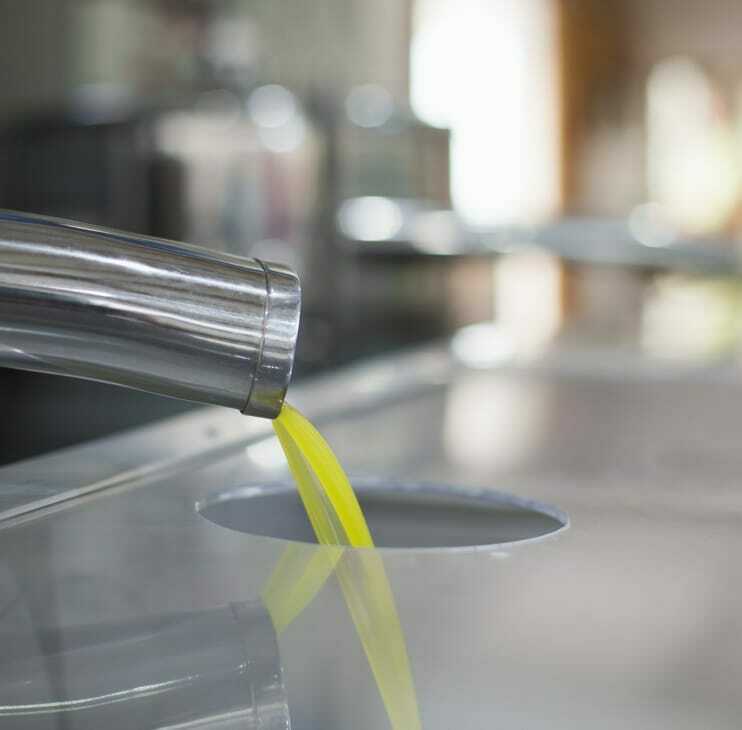 More than 1000 different lots of olive oil are delivered to the plant every year and it is only after the various checks have been completed that the oil is deposited in the storage tanks. Oils with different sensory characteristics and origins are stored separately. 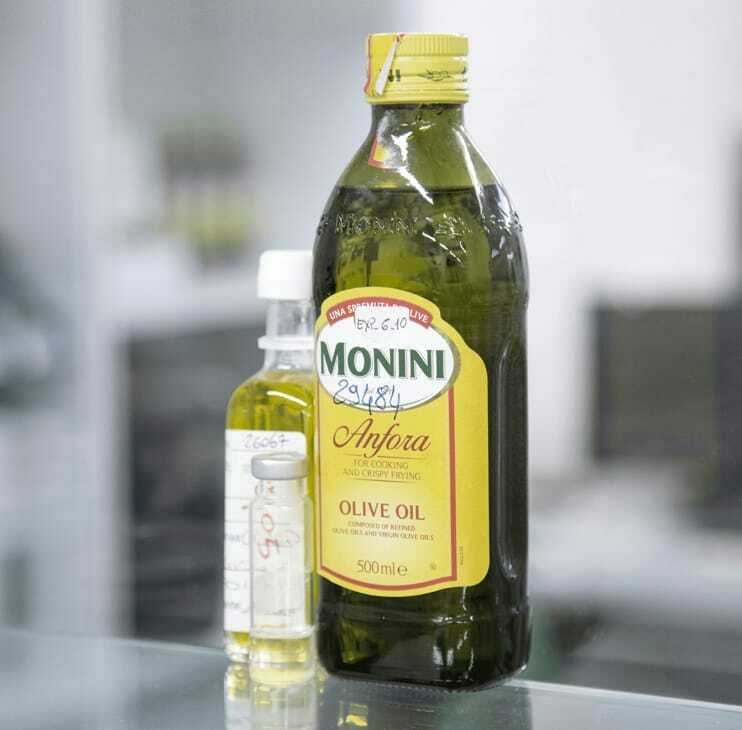 It is only just before packaging that the various oils with their different aromas and flavors are combined according to recipes or blends decided by Zefferino Monini for the purposes of recreating the sensory profile and quality standards set down for each extra-virgin olive oil. 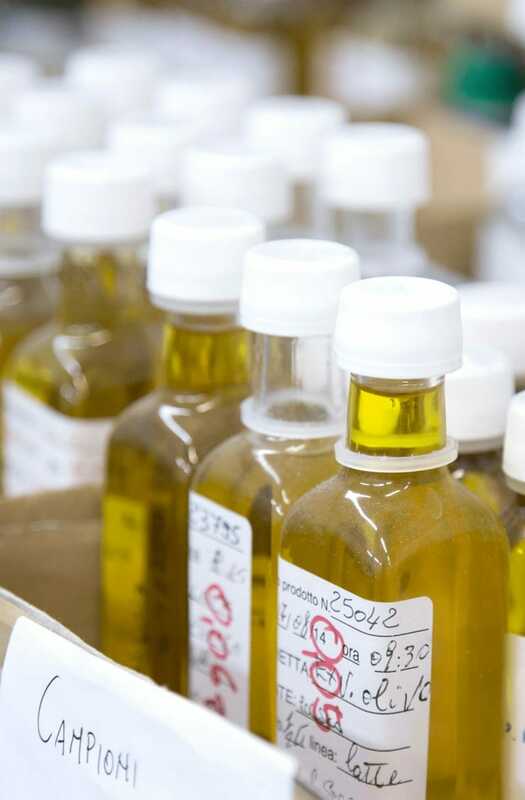 As any transfers or combining of oils from one tank to another are recorded, an IT system keeps track of the analytical values of each oil in each tank and updates values. The more than 500 blends we make up every year are then analyzed once again before packaging and all their analytical values are compared with average theoretical values supplied by the IT system. 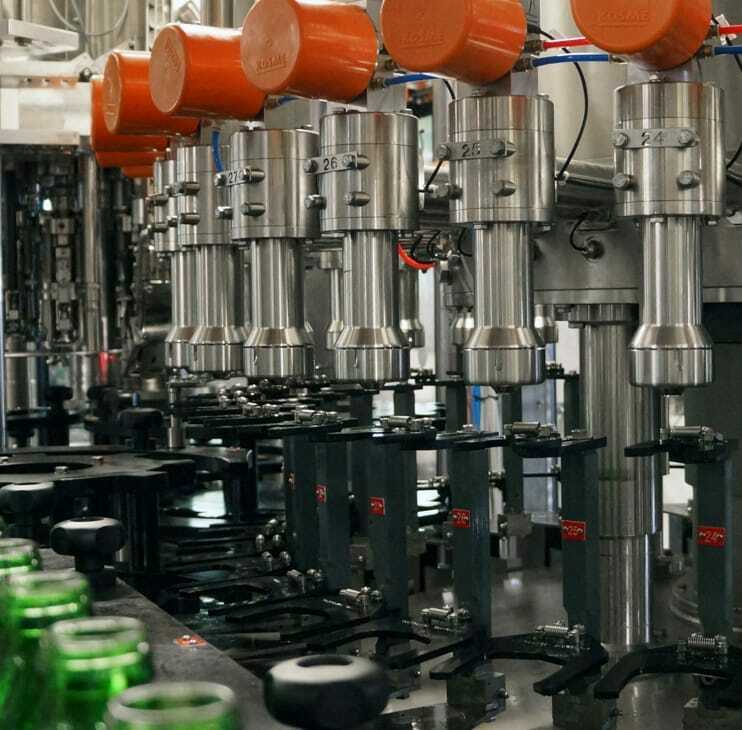 During the packaging phase a further 1500 tests per year are done to ensure that all manufacturing phases from blending to filtering are performed correctly. We have approximately 170 storage tanks all made of stainless steel with capacities varying from 3 to 210 tons whose use varies according to the type of oil stored in them. Tanks are supplied with an inertization system with nitrogen gas which prevents oil coming into contact with oxygen and thus preserves it better. Level sensors measure the quantity of oil present in every tank and the available space exactly. Some of the tanks used for our top products are temperature controlled to 12-18°C. Computers in the various spaces of the tank rooms and testing labs monitor the quantity of oil in each tank and follow transfers from one tank to another during the blending phase, stage by stage. Any oil transfers from one tank to another are recorded and an IT system linked to each tank records all the analytical parameters detected at the lab for each single tank. 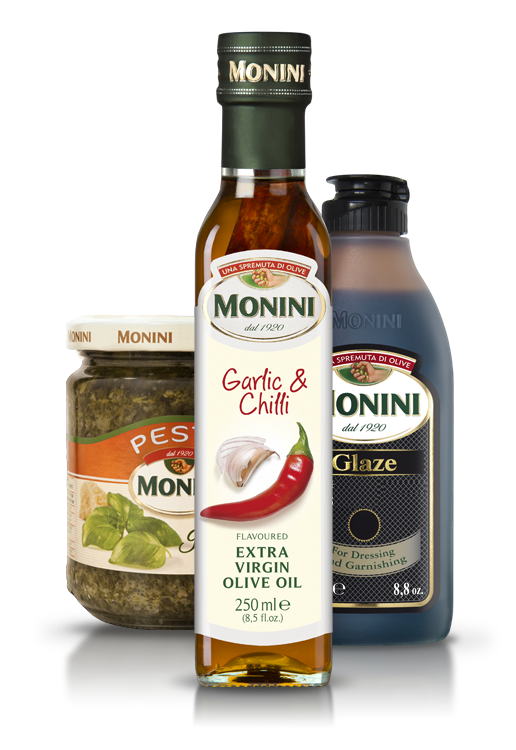 Immediately before packaging all MONINI oils are filtered and clarified. These processes in no way alter the nutritional properties and quality of the oil but improve product conservation significantly by eliminating solid particles and residual vegetable water droplets from the oil. Oils are filtered with filter sheets complete with a layer of diatom flour on the surface, a natural, totally inert substance used for filtering wine, fruit juices and other drinks. After passing through this layer of flour oils have been filtered, i.e. they are free of the droplets of vegetable water and olive fragments which together make them look cloudy. Immediately after filtering oil is subjected to clarifying. This is done with a filter which uses sheets of cellulose paper, simple absorbent paper a few mm thick. After clarifying the oil is translucent and water free, ready for bottling and capable of conserving its sensory profile and precious anti-oxidant properties intact for longer. 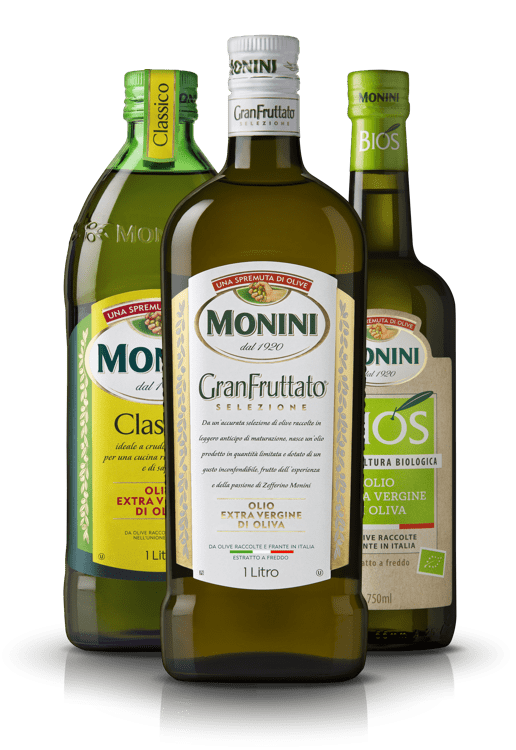 The Monini plant in Spoleto has ten packaging belts and every day an average of 100,000 liters of oil is bottled with peaks touching 280,000 liters when there are three work shifts. 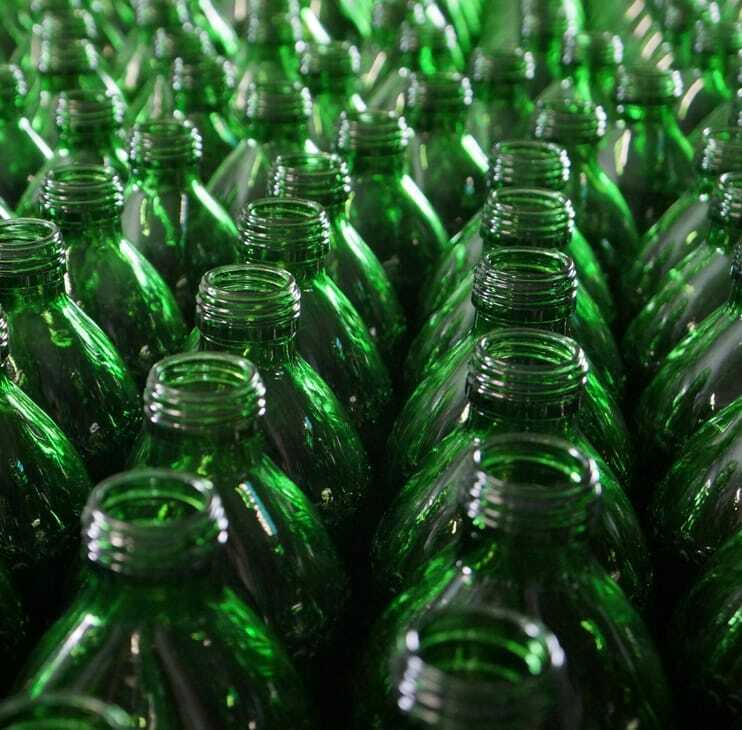 Clean, checked, protected: even if they are new before they are used bottles are compressed air blown and then electronically inspected with those showing defects such as bubbles, cracks and chips being thrown out.